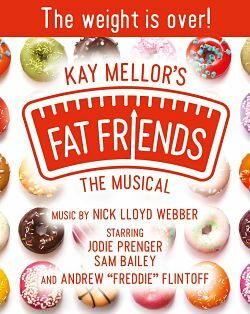 Former England cricket captain, and star of SKY’s League of Their Own, Andrew “Freddie” Flintoff joins an all star cast for the world premiere of Kay Mellor’s Fat Friends - the Musical. He will play Kevin Mergatroyd opposite Jodie Prenger as his fiancée, Kelly at Leeds, Southampton, Sheffield, Manchester, Birmingham, Bradford and Blackpool. One of the world’s most recognised cricket stars, Freddie Flintoff won the BBC Sports Personality of the Year award in 2005 after playing a pivotal role in regaining the Ashes from Australia. Since the Lancashire Lad’s cricket career ended in 2010, he has forged a career as a much loved presenter and broadcaster. Appearing as a captain on Sky’s ‘A League of Their Own’, being crowned King of the Jungle in the first Australian version of ‘I’m a Celebrity Get Me Out of Here!’, Freddie has also launched a clothing range ‘Flintoff by Jacamo’. Having just filmed a part in Kay Mellor’s new ITV series, this role will see Freddie continue to affirm his acting credentials after bowling over the show’s creator, Kay Mellor and composer Nicholas Lloyd Webber during auditions!